A young French woman, determined to pursue her dreams, shows resourcefulness and endurance as she journeys from her home to America in a novel set in the late 1800s. Seventeen year-old Sara Thibault is the youngest daughter of a Loire Valley vintner, and she hopes to follow in his footsteps. She’s well-versed in the intricacies of winemaking and understands the importance of a strong grape crop, but Sara doesn’t anticipate the series of events that threatens to derail her dreams. Her sister, Lydia, is engaged to Bastien Lemieux, the eldest son of the area’s wine broker. He’s handsome, but Sara suspects he also possesses a cruel streak, a sharp contrast to his kind younger brother, Philippe, who left for America following a scandalous episode. When Sara’s father is killed in a mudslide and leaves behind a sizable debt, her mother sells the vineyard to the Lemieux family, and Lydia marries Bastien. Distraught but not defeated, Sara vows one day to reclaim her family’s legacy and blames the Lemieux family for her father’s death. (The accident happened as he was traveling to find a better price for his wine than that offered by Lemieux senior.) Bastien proves Sara’s suspicions correct: He brutalizes Lydia, and when he attacks Sara, her response is so forceful that she must flee France to avoid dire consequences. A pregnant Lydia accompanies her, and they set sail for America. Although Sara’s path becomes more difficult, she doesn’t lose sight of her goal. Using her dwindling funds, she travels to California hoping to make her mark in its flourishing winemaking industry and ends up in a situation that could take her full circle. 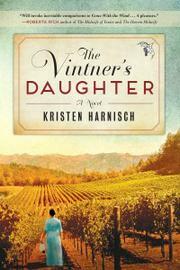 Harnisch's palatable debut is enriched with historical detail about the wine industry. Sara is a dynamic heroine, but secondary characters would benefit from further development. Even so, the plot is engaging and well-paced. Wine aficionados and fans of romance and historical fiction will drink this in.